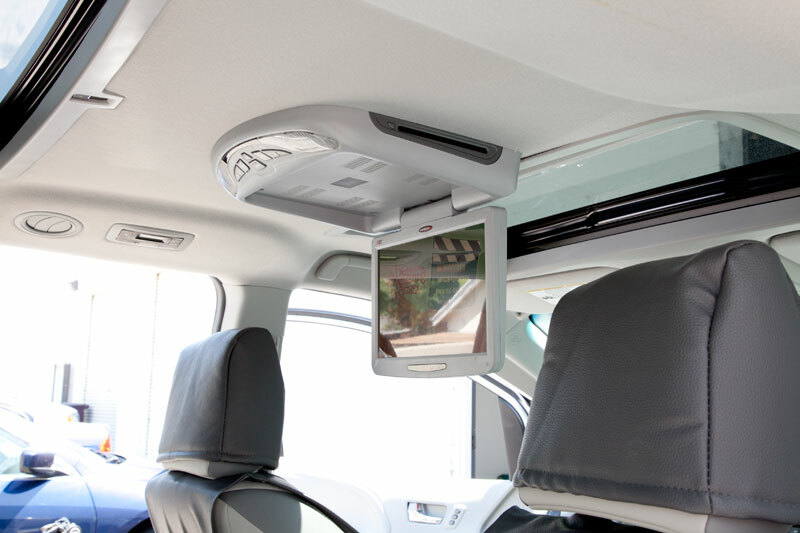 We receive many phone call with concerned customers after they have purchased an overhead dvd player and not remembering that they have a sunroof only to be told by an installer that they cannot use an overhead monitor. 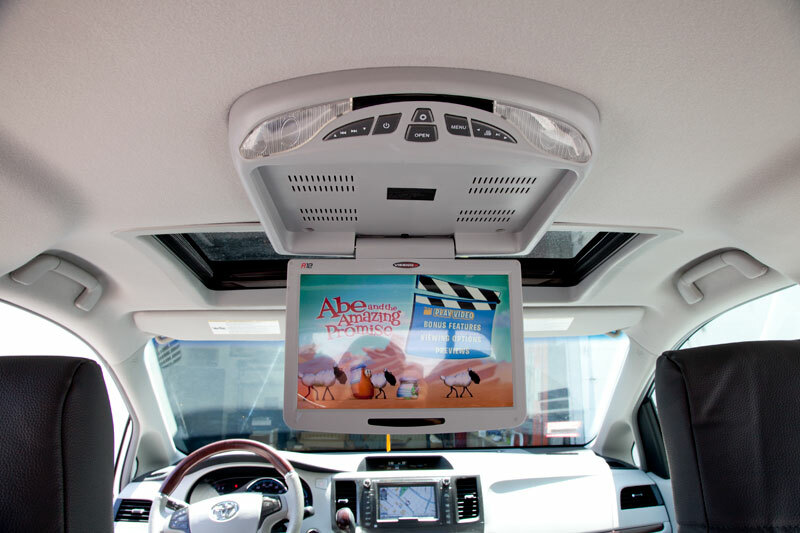 At Quality Mobile Video we have some of the best installers available and with a little imagination we show you what can be done in a vehicle with dual sunroofs. 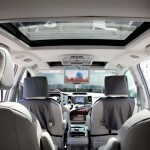 Today we installed a Gryphon Mobile MV-RF121DVD Overhead DVD player in a 2011 Toyota Sienna with dual sunroofs. 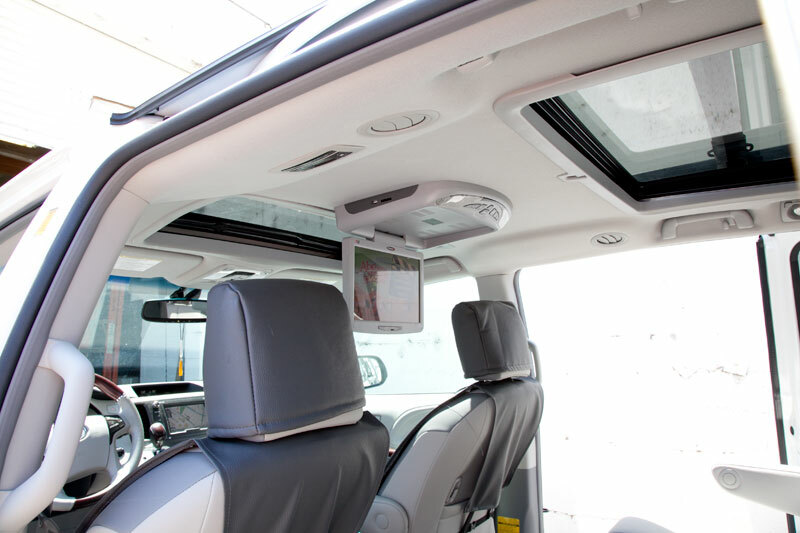 This installation was a little more tricky, with the narrow sliver of roof that was available for mounting we had to make sure that we had a large enough foot print to mount the monitor. We used plate steel to make a bracket that would be strong enough to attach the screen. 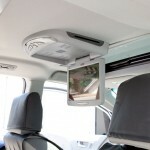 Other that that the installation was exactly the same as any other overhead dvd player installation. 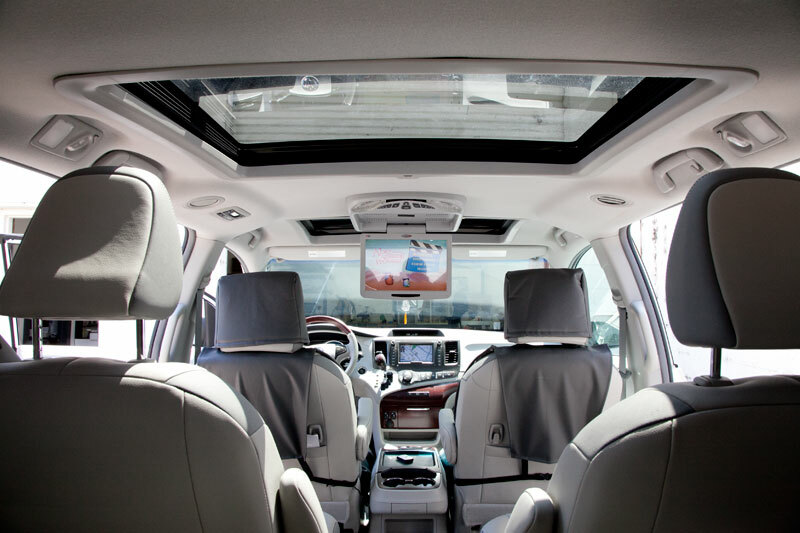 The interior of this Toyota Sienna was grey so we chose the grey version of this overhead dvd player to perfectly match this vehicles interior. 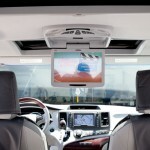 This monitor is available in three colors unlike some other models that have snap on trims. We ran all of the cabling down the A-pillar and were able to grab 12 volts from the factory fuse box located underneath the dash. 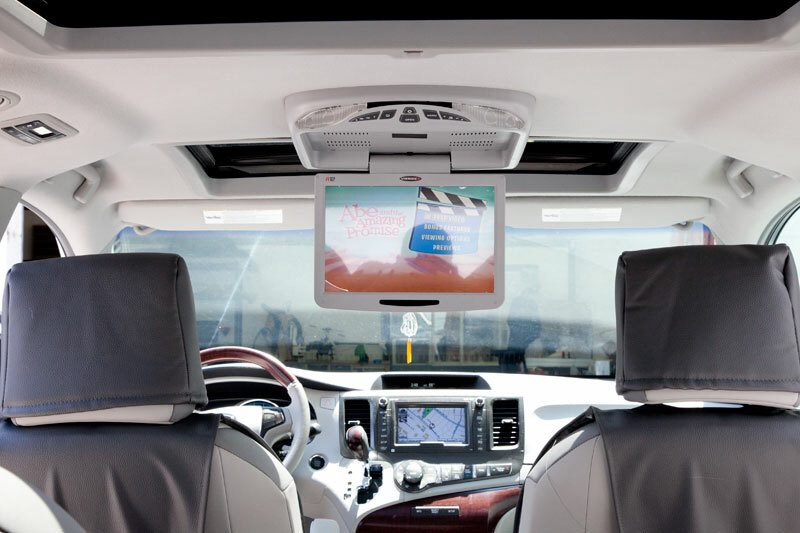 The Toyota Sienna is a large van with plenty of power and adding this monitor to the vehicle electrical system was no problem. 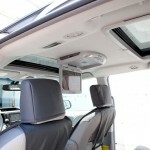 Has anyone ever voiced concern that when installed with sunroof, it caused problems of water leakage around the window later? If installed correctly, you will have not modifications that would be any cause for concern with water.